Sometimes you stumble across a portfolio where the artist only has a couple of comic based pieces, other times there can be just one work so brilliant, you'd risk being stoned to death by fellow art lovers for putting something else beside it. 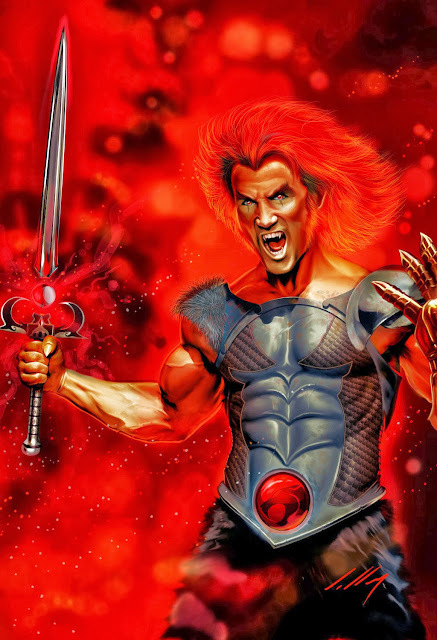 These are Random Works of Wow and illustrating the point this week is Brazilian Alexandre Salles with Lion-O. Now Alexandre is a guy I've kept an eye on since I profiled him on Making A Mark, but this piece is so good, I think you'll agree it deserves another spotlight! Some folks fear when you put 80's cartoon icons in a realistic style but here those fears are truly put to rest. What do you think? Click to enlarge or view more Random Works of Wow here. To see more of Wen's works, click here.